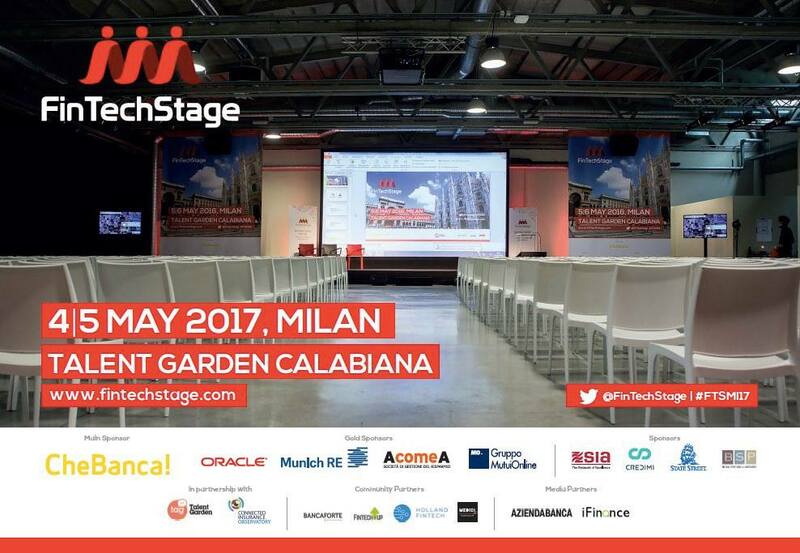 FinTechStage is a conference with an unconventional format that brings together a unique network of innovators obsessed with driving entrepreneurship and investment in Fin Tech. The goal is to connect three communities: FinTech startups, investors and financial institutions with the aim to foster the innovation and the collaboration among all the international players in the sector. FinTechStage was born in 2015 and is now an awesome international network of speakers combined with an incredible depth of the dialogue, engaging financial institutions, startups, venture capitalists and technology partners. We love to partner with eco-systems to help building a trusted and enabling FinTech community, through different type of engagements, covering as well the InsurTech and the RegTech space, and in all technology dimensions. FinTechStage brings the perfect combination of an exhaustive knowledge of financial services, an unrivalled network of expertise and the reach to the startup world. In one sentence, whether we talk to a financial institution, an organisation, an Eco-system or a country: We help the building of FinTech tribes. To check the schedule, check out the FintechStage Agenda here. Secure your ticket! Register/Buy now! Check out the FintechStage Registration page!